Improper treadmill maintenance resulted in a fitness center patron suffering severe injuries. She broke her arm and sustained severe friction burns after the treadmill’s belt slipped. After investigating the accident it became clear the fitness area supervisor had been warned about the loose belt by several other patrons and failed to pass that information to the maintenance staff. In addition, this particular treadmill was missing a safety key, which would have at least prevented the friction burns. A young man suffered serious injuries when a weight fell from a bar and landed on his foot. The fitness center had recently purchased new bars, which were a different size and style from their old ones. The new bars were not compatible with their old weight collars and did not fit securely enough. While performing a lift the bar shifted and the weight collar failed to prevent the weight from falling and caused it to land on the individual’s foot. He suffered several fractures throughout his foot. There are literally hundreds of different types of fitness equipment available today. Discussing the maintenance of each specific type could take a lifetime. Some types of fitness equipment have dozens of moving parts, while others are as simple as a single dumbbell, but they all have maintenance requirements to ensure they are safe and effective for all patrons. To learn about the hazards specific to a particular piece of fitness equipment we recommend referring to resources provided by the manufacturer. The user guide will also advise about replacement parts, proper cleaning, scheduled maintenance and much more. A good practice once you find the user good is to maintain a hard copy for each type of fitness equipment and include the inspection checklists to keep track of all services performed. If you have difficulty locating a user guide contact the manufacturer of the equipment and they should be able to help you locate it. How Often Should I Inspect Fitness Equipment? Frequency for inspecting fitness equipment varies greatly depending on both the type and make of the fitness equipment. Since equipment at fitness facilities receive regular use it is recommended to inspect them at least once a week. Below you will find a convenient fitness equipment inspection checklist that will enable you to fill out the information necessary for each type of fitness equipment along with what specific components to inspect. 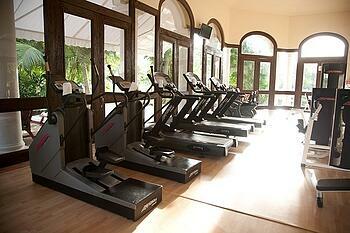 A common practice for many organizations with fitness equipment is to lease their equipment. If this is what your organization does it is still a good practice to conduct weekly inspections since most leasing companies will not inspect their equipment this frequently. Filling out the inspection sheet for leased equipment is still important because it can keep track of defects and issues that the leasing company will need address during their routine servicing. If any major defects are noted, mark the equipment as “Out of Service” or remove it from use. Contact the leasing company as soon as possible so they can promptly repair it. You should also keep records of every time they service the machines. Utilizing a service contractor for routine equipment inspections, repairs, and maintenance is a great idea for organizations that own a lot of fitness equipment. These contractors may be independent or be from the equipment manufacturers. It is a good practice whenever these professionals perform any type of service to maintain a written record. These records should include dates, services performed, and the name of contractor. Because these visits will occur relatively infrequently, it is the recommended practice to still complete weekly fitness equipment inspections. 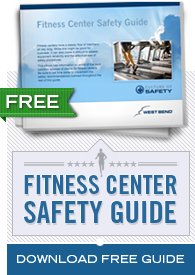 Referenced throughout this document is the Fitness Equipment Inspection Checklist. This checklist will enable you to customize it based on the manufacturer’s recommendations for your specific pieces of fitness equipment. The five custom fields should contain the most important areas to inspect and should be unique to each type of fitness equipment. For example, inspecting the tension and alignment on treadmill belts and foot pedals on exercise bike will be important ones to note. Making a checklist for each type of equipment will ensure they are inspected properly and remain safe for all patrons to use.